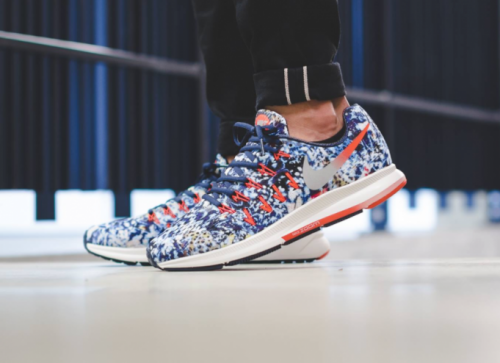 Home › Latest News › Nike Pegasus 33 Limited Edition "Jungle Print"
Nike Pegasus 33 Limited Edition "Jungle Print"
Run like an animal with the rain forest-inspired Nike Running Jungle Pack Pegasus 33. In the jungle, dense with life and radiant with color and energy, nature rules and the fittest and fastest thrive. 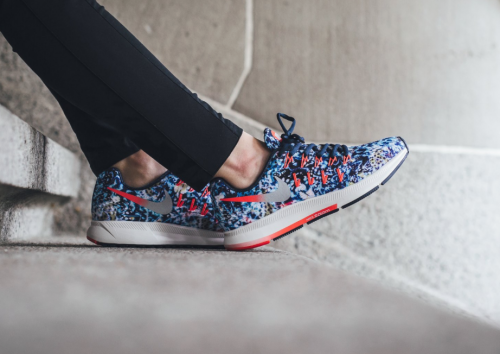 Inspired by this dynamic world, the Nike Running Jungle Pack showcases a dense tropical motif featuring the equatorial flora and fauna. Delicate insect wings and lush branches reside alongside bright poison dart frogs, the camouflage flash of a jaguar and phosphorescent-like blue finishing. Available 6/9/16 while supplies last at Fleet Feet Sports Madison and Sun Prairie.